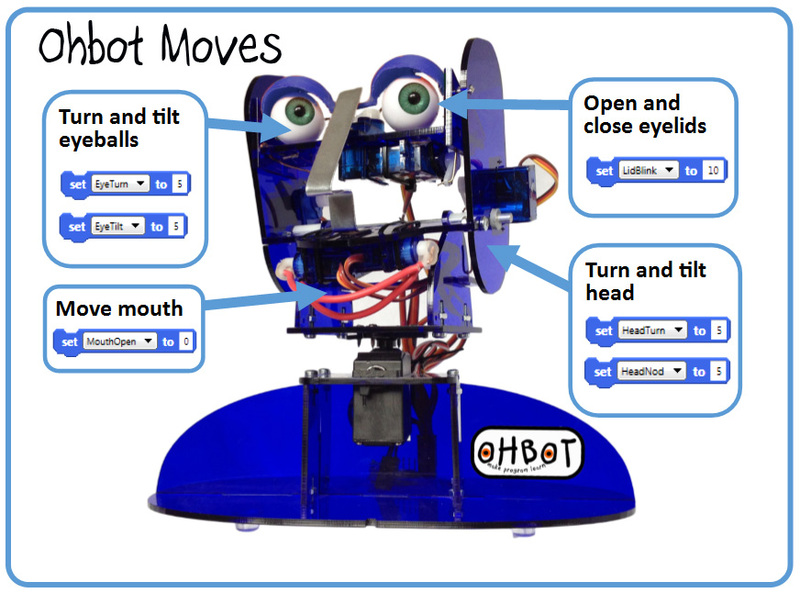 Ohbot has seven servo motors. These position the head tilt and turn, eyeball tilt and turn, eyelids and lips. 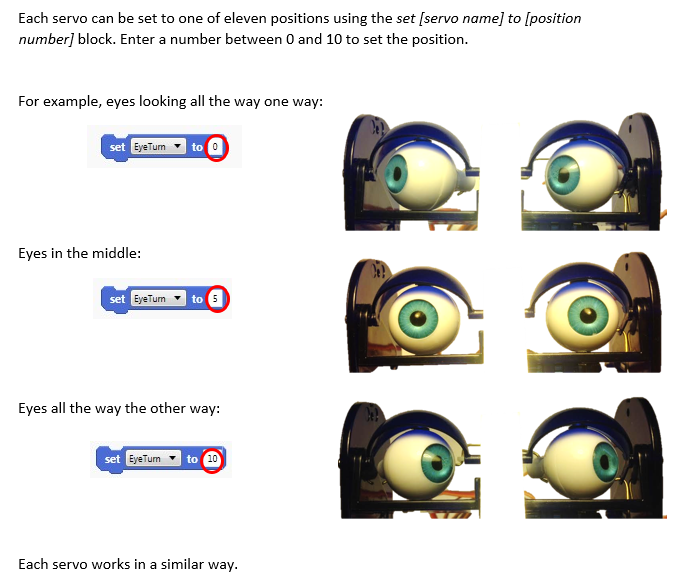 See example showing how the position of any motor can be set by changing the number in a Set instruction block. Right mouse click and select 'Save Link As' or 'Save Target As' from the menu. Save the program onto your computer. In Ohbot software use the Open menu on the File menu to locate the downloaded file. ​Click here to download a printable Make it yourself card for this. Can you make several actions happen when you press a key?